Stephen Greene was appointed by former prime minister Stephen Harper. OTTAWA — A Nova Scotia senator was kicked out of the Conservative caucus Tuesday over his decision to attend a dinner hosted by Liberal Prime Minister Justin Trudeau. Sen. Stephen Greene said he was given an ultimatum by Larry Smith, the Conservative leader in the Senate: abandon plans to attend the dinner later Tuesday or be dropped from the Tory caucus. Smith used the words "betrayal" and "treasonous" to describe his intention to break bread with Trudeau, said Greene, who described the situation as "beyond silly." Senator Stephen Greene says he has been kicked out of the Conservative caucus over his decision to attend dinner with Prime Minister Justin Trudeau. "I would accept a dinner invitation from any prime minister who offered one," said Greene. "But that was too much for the Conservative caucus." He said he was "shocked" and "amazed" at the ultimatum and "crushed a little bit" to be kicked out of the caucus after refusing to give up the invitation. And he accused the Conservatives, who are the only senators still formally affiliated with a political party in the Senate, of clinging to the old-fashioned way of doing things in the chamber rather than adapting to the new reality of an upper house that is less partisan and more independent. But Smith was unapologetic, arguing that the dinner was the last straw. He said Greene has been reprimanded a number of times in recent months for, among other things, agreeing to sponsor a government bill and voting in favour of reforms to the Senate that would "effectively eliminate the Opposition" in the chamber. "Well, we are the Opposition," Smith said. "You can't be half in or half out. You're part of a caucus or you're part of a government and we truly believe that the Opposition plays a very serious role in our federation." The dinner invitation was to all senators who have sponsored government bills. Greene had sponsored what he called an "innocuous" bill to formalize a taxation agreement with Taiwan and Israel. 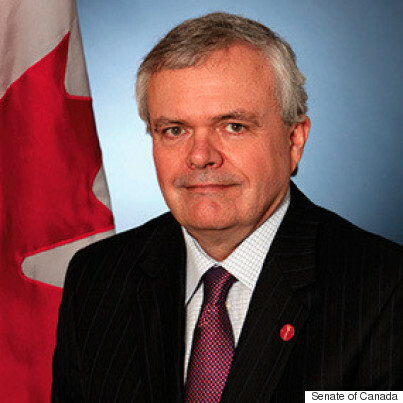 Greene was appointed to the Senate by former prime minister Stephen Harper. He previously was chief of staff to Reform party leader Preston Manning and is currently the Nova Scotia chair for Maxime Bernier's leadership campaign.